A few small changes in the way you handle your billing and invoicing is all it sometimes takes to help you maintain your cash flow and cut down unnecessary delays in payments owed to you. When you have busy parents of young children as your clients, it’s sometimes easy for your invoices to get misplaced, go forgotten or inadvertently get buried under their long to-do lists. Even though you know they are not trying to hold you up deliberately or delay payments, only you would know how the delay is impacting your cash-flow and making you reel under the pressure. Establishing a clear set of terms and communicating your expectations clearly (but politely) can help make the payment process easier for you as well as for them. Always make sure you outline your payment terms – due dates ( 7, 10, 15 or 30 days etc. from the date of issuing the invoice), late fees, the method of payment etc. right at the outset. Include the details in the information-packs you hand out when they start and reinforce the information by including it again in each of the invoices you send out. It’s always best to steer clear of complex terminologies in your invoice. For instance, It’s standard practice for companies to use terms like Net 7, 30 etc. on their invoice to indicate the number of days the customer has from the due date to make the Net payment. But it is often unnecessary when you are invoicing individual clients (and not corporate organisations). A sweet and simple “Please make the payment within seven days of the due date” should be able to get the message across much more clearly, avoid unnecessary confusions and any resulting delays in payment that it might set off. If you offered James two ad-hoc sessions – a breakfast club and an after-school session – make sure you list it out separately in your invoice. Sending out an invoice for an after-school session at £12 and breakfast club at £6 instead of an ad hoc session- £18 (sans the itemised break-down) can save you a lot of time in answering questions and avoiding confusions. Having to chase up late payments would hardly be the favourite thing to do on anyone’s list. But, as mentioned earlier, late payments could often be a result of your client merely forgetting to make the payment. A polite reminder might be all it takes to get them to make the payment promptly. You could just pick up the phone and give them a call, send out an email or if you are using a childcare invoicing software like Cheqdin, you can send out reminders using the system at the intervals you choose. After all the hard work you put in, the last thing you would want is to have all your invoicing records and data go down with your computer, should something happen to your device. Make sure you back up and store all your data on the cloud or an external hard drive or opt for a cloud-based invoicing software that will automatically do the back-ups for you. Small changes to your billing and invoicing system can go a long way in avoiding misunderstandings and helping you get paid on time. Just make sure you create a set of terms right at the outset and communicate it clearly. Follow up if you have to, and make sure all your records are backed up regularly. 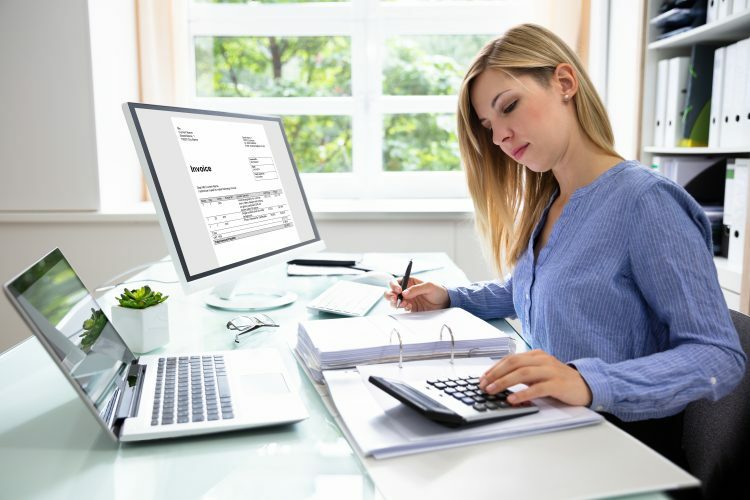 If you are looking for an affordable invoicing software for your childcare business, just get in touch with our friendly team for more details.